Citroen has released the first details of its new DS4 - the second model in the DS line after the distinctive Citroen DS3. In terms of style it's certainly influenced by the excellent DS3 and has been designed to combine elegant coupe-looks with compact dimensions. At 4.27 metres long it's pretty much identical in length to the soon to be replaced Citroen C4 and offers three full-size rear seats. It may look like a two-door in the pictures, but it does in fact have rear doors with hidden handles, adding to the coupe appearance in a similar fashion to the SEAT Leon. 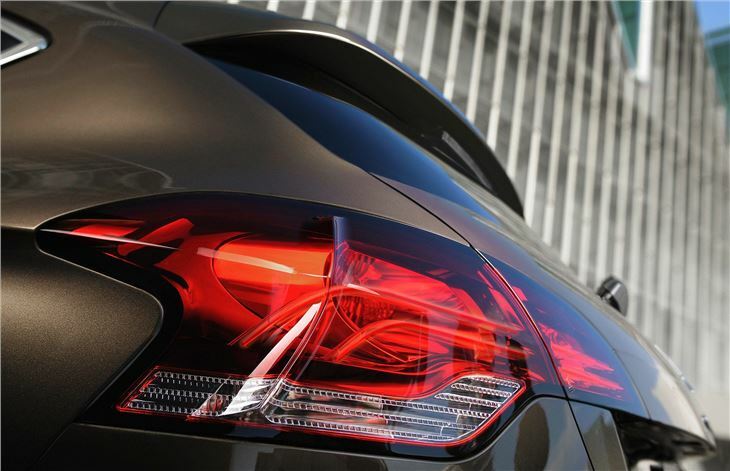 The DS4 promises to be practical too with a 370-litre boot - more than a Volkswagen Golf. 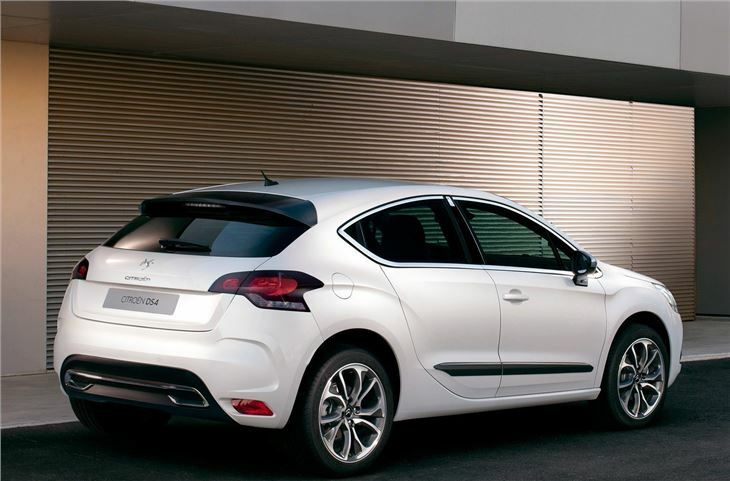 This is crucial as the DS4 will be Citroen's more stylish equivalent to the forthcoming Citroen C4, due to arrive in the UK in early 2011, and is a model designed to compete with more premium hatchbacks. 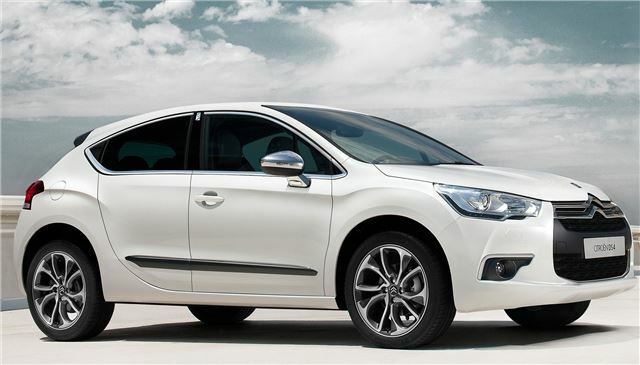 Citroen is boldly promising that the DS4 will deliver "a new at-the-wheel experience with unrivalled driving sensations and outstanding agile on-road handling." We'll have to wait to drive it before we find out whether that's the case, but if the handling of the DS3 is anything to go by, the DS4 should be very good. 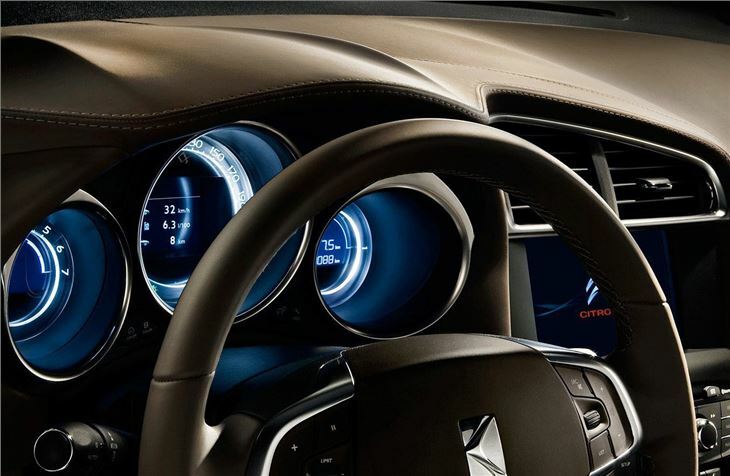 From the early pictures, the interior looks good with a far higher quality than Citroen has offered in the past. The biggest feature is the large panoramic windscreen that extends backwards into the roofline - a feature that's become a trademark of Citroen models and makes for a very bright and airy cabin. Owners can also personalise the interior with a choice of five leather combinations, including two-tone options. Range-topping models are also equipped with high quality leather on the dashboard and door panels - complete with a ‘Bracelet' design on the seats, evoking the links of a watch strap. For an added touch of luxury, there is chrome detailing on the air vent surrounds, instrument cluster, gear lever and parts of the central console. There are also aluminium pedals, embossed leather door handles and ambient lighting - adding to the premium appearance. Citroen says special attention has been given to the car's internal acoustics by minimising engine vibration, wind and road noise. This has been achieved by using a laminated panoramic windscreen with damping film, fitting additional sound absorbent material around the engine and enhanced sealing barriers on the body and doors. 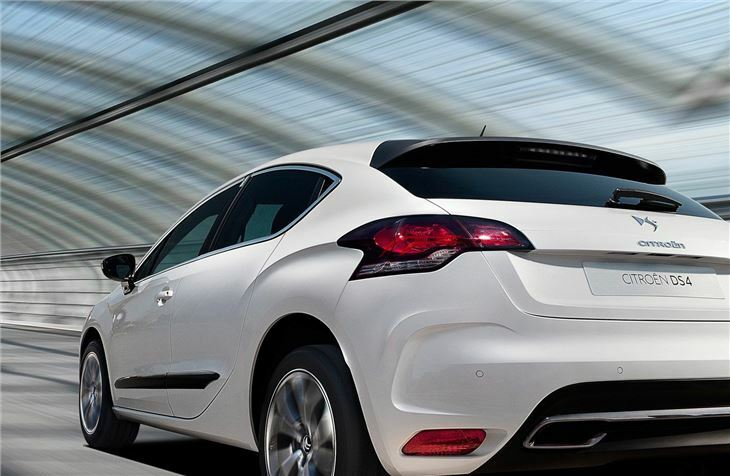 When it's launched, the DS4 will be available with Citroen FreeDrive, first introduced with the DS3. This package is designed to give owners complete peace-of-mind with an extensive range of services that can be personalised. FreeDrive contracts can be tailored to cover scheduled and annual servicing, periodic maintenance, replacement of wear and tear items, Citroen Assistance (Roadside/At Home/Recovery/Onward Travel/European Cover), replacement vehicle during regular servicing, MOT Testing and valet cleaning during servicing. FreeDrive also offers optional tyre replacement cover, a ‘Pick-up' service from the customer's home or workplace, or a ‘Pick-up & Delivery' service. 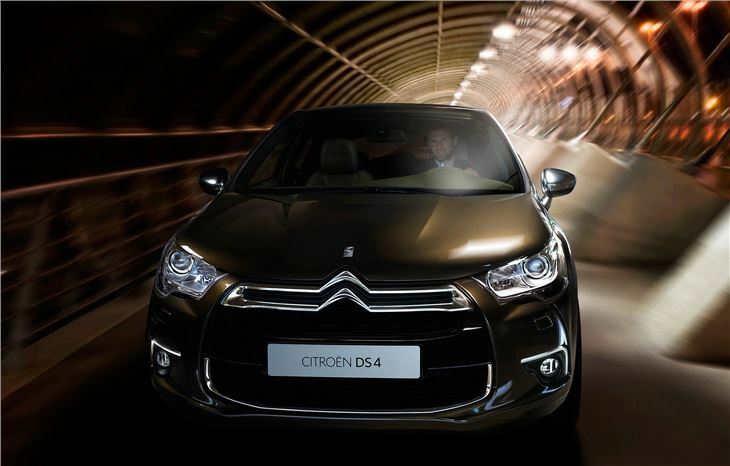 The new Citroen DS4 will be revealed at the 2010 Paris Motor Show and is expected to go on sale later in 2011.